As the Jamaican government pursues at $1.5 billion port development project with the Chinese government, conservationists are fearing for the survival of an iconic species -- the critically endangered Jamaican iguana. After coming back from the brink of extinction thanks to a 20-year conservation effort, many say the species could face extinction again. The port, which would be built on and around the Goat Islands, which is in the Portland Bight protected area -- over 200 miles of land and 524 miles of sea that contains valuable mangrove habitat. The very same islands were slated to be turned into protected habitat for iguanas in particular -- though that will be scrapped if the project goes through. According to the IUCN, other critically endangered species would be threatened as well. Along with the IUCN, the UN has voiced strong opposition to the plan, arguing that the area's value in wildlife tourism is high. Other conservationists agree, saying that iguanas are finally on their way back. "It is one of the best known conservation success stories of modern times," Rick Hudson, a founder of the International Iguana Foundation, told the Guardian. "A species that was given a second chance for survival has been on the road for recovery for the past 20 years. We are on the verge of success." 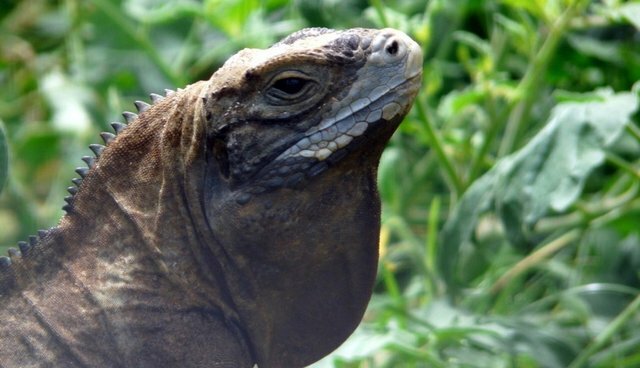 The iconic Jamaican iguana, a species that has fought its way back from the brink of extinction over the past 20 years, could be wiped out by the creation of a port on the Goat Islands in Jamaica. Join us in calling on Jamaica's transport minister, Omar Davies, to cancel the construction and save this critically endangered species.